This screen came after I entered my credentials to login, and stayed here for a long time. 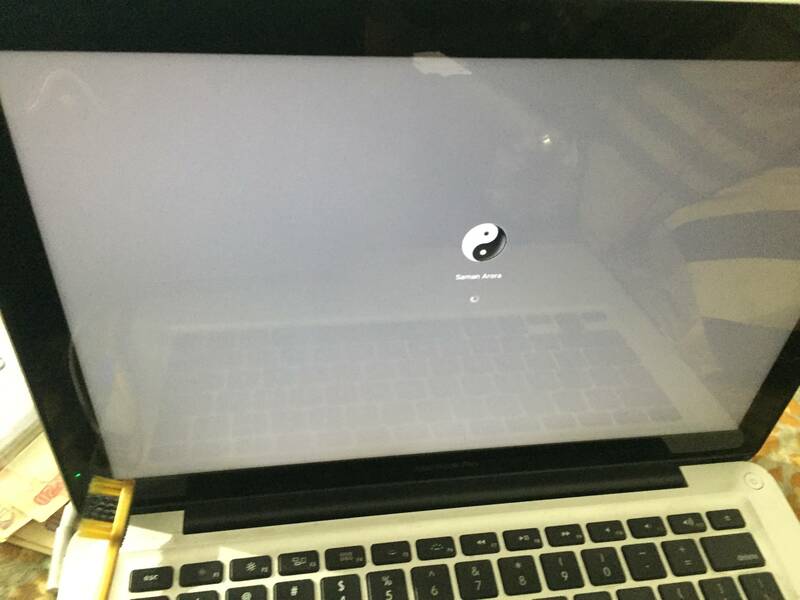 I have tried reinstalling the os and clearing nvram, tried booting into safe mode and run diagnostics and tried updating the OS, but nothing has worked. How do I get to log in? Try creating a new admin user (follow the steps below) and see if this new user can login without this problem. If the new account also experiences the problem I suggest using Recovery Mode to install a new copy of macOS/OS X as it could be a problem with a preference file or other system resource. Create the new admin user and continue through the setup process then sign in as this user. This process does not delete the original System nor does it delete your user accounts or personal data. All existing user accounts will continue to work as before and all personal data will be left intact. Some applications may require reinstallation if using this process as they sometimes install elements of their resources in the /Library folder. Shut down your Mac. Remove the battery. Press and hold the power button for 5 seconds. Reinstall the battery. Press the power button again to turn on your Mac. Hardware Test . Make sure that your Mac is on a hard, flat, stable, well-ventilated work surface. Shut down your Mac. Turn on your Mac, then immediately press and hold the D key on your keyboard. Keep holding the D key until you see the Apple Hardware Test icon: Select your language and click the right arrow. If you aren't using a mouse, you can use the up and down arrows to select a language, then press the Return key. To begin testing, click the Test button, press T, or press Return. Optionally select "Perform extended testing" before beginning the test. This performs a more thorough test that takes longer to complete. When the test is complete, review your test results in the lower-right section of the window. If you have backup On time Machine Try Restoring It . Last option Is Internet Recovery . Shut Down your laptop Press Command + R And power button to boot in internet recovery and if you were running sierra than command + Option + R and power button and format your hdd and reinstall os . Not the answer you're looking for? Browse other questions tagged macos macbook hang login .